Thinking of getting a global pass and realized that some trains I may need a reservation and for that reason require an extra charge. I have read that you can make the change at a ticket machine for the extra cost. This site says , put your charge card in the machine and punch in your 4 digit PIN. My credit card does not have a 4 digit PIN. Is there a particular card that needs to be used to proceed with my transaction? The reference is to European credit cards - chip and pin. The US card is a chip and signature. Sometimes the US will work and many times not. You can request a pin for your credit card but it might not work either. You may have to go to the ticket window for the reservation. This is one of many reasons why train passes are losing favor and not the good deal they once were. Every country has a different train system with different ticket machines. Which country are you talking about? Some ticket machines indeed will not accept a credit card without a PIN. (A debit card with a PIN may work.) You can get a chip and PIN credit card from a few credit unions in the US, if that's where you live. I recommend Andrews Federal Credit Union (no relation) - they are in Maryland, but you need not visit a physical branch to apply. You can apply online. However, like some credit unions they some weird restrictions about who can join (just how credit unions work, not something they dreamed up). In their case, you can join the American Consumer Council for a $5 fee for one year (all you need) - just a formality, then you can join the credit union and never think about the ACC again. Most of the time, rail passes do not make financial sense. I suggest posting your itinerary here so the train experts for the relevant countries can comment on rail-pass cost vs. point-to-point ticket cost. Thank you everyone. It was a general question because I am still in the planning stages of my trip but wanting to cover all bases. With that being said , I am not sure where I may need to make changes on a pass ( if that is what I get. ). ... I am not sure where I may need to make changes on a pass .... Sorry, but don't understand that comment in reference to a train pass. When reservations are required, changing trains will require a new seat reservation on the next train and generally will be an additional charge for the reservation. If that is what you are asking? Also adding to the pass question, is that in France the reservation fee can be higher than the advance sale price for the ticket. And the availability of seats for rail passes can be limited. The old idea of a using rail pass to jump on any train headed in the right direction is long dead. Read the European train expert Man in Seat 61 on rail passes versus point-to-point tickets. You cannot normally get seat reservations from a ticket machine. It is an unusual requirement, as when you buy a normal ticket from A to B it includes the reservation. Only people with a pass (who are a small minority) need a separate reservation. Go to the manned ticket counter. Many automatic machines, not just ticket machines, need a PIN to work with a card (debit or credit). Since 100% of cards issued in Europe have a PIN, this is not a significant issue, EXCEPT for North American tourists. It is not true you need a 4-digit PIN. One of my cards has a 6-digit PIN, another a 4-digit PIN. I have never had an issue with either. Sorry bad phraseology. I meant "Only people with a pass (who are a small minority) need . . .". I've corrected it. Thank you for all your replies. We are traveling for 3 week to (thru ) 6 countries and thought a pass would be better then each individual travel. I will have to calculate the cost with each individual trip, sometimes complicating even after reading the site. I also along the way saw that you can ask your credit card company for a PIN to use with your card incase it is required during any european transaction .Planning a trip and knowing that you are going from point A to B on a certain day is very difficult to predict leaving no time for spontaneity or unpredictable delays. Spontaneity is overrated - why spend your vacation time figuring out your trip? Book hotels and trains in advance to enjoy your vacation AND save money. This is some 1970’s myth. Why do people eat chocolate ice cream? Vanilla is soooo much better! Seriously - we all have different travel style preferences. After having done it both ways, I now lean toward spontaneity with some reservations made ahead of time. More than once, I regretted having locked myself into something when I wound up not liking a place as much as expected - but already paid for the hotel. Why not decide as you go? With the ability to book stuff just ahead of time with your phone, why not? When they say get your ticket ahead of time ( form point A to point B ) , what time frame is that ? A month , sooner, or just before I leave incase I decide to go that route ? I know the sooner the better but is a week before the trip profitable enough. It depends on the route and when you'll be travelling (annoying answer, I know). If it's during the summer or any other school breaks, it's best to book well in advance to get the lowest fares. It depends on the railway, but in many countries, tickets are released 3 months ahead (some railways plan further ahead). My experience: On domestic trains, you can usually still find good deals a week in advance as long as you are flexible with the time of day - but of course the cheapest tickets will be long gone. On international trains, it's often a good idea to plan further ahead (3-4 weeks) if you want a good deal - but it varies a lot. And the price differences vary a lot. The UK seems to have the widest swings, with full-price tickets sometimes being 4 or 5 times the cost of Advance tickets. In some other countries the difference is much less. The multiplier varies by route, also. Regional-train fares often do not vary at all, so there is no need to buy those tickets early. I use a rail pass but would be very careful in choosing a global pass. First of all, get that pass only where steep discouints are offered. The good thing is that the Global Pass is now valid on the EuroStar and in Poland, ie take the Euro Star London to Paris, then Paris to Warsaw, day and night train. How long is your trip? I would only consider a Global Pas if the trip is a minimum of 2 months, you're under 27 years old, and will do zig-zag traveling, taking night trains or ferries where a 30% may be applied depending where from and where to. On the credit card and train ticket machines, I'll comment on Germany. The DB train ticket machines do take American credit cards, which I've used when buying point to point tickets in addition to using my Pass. The DB pictorial shows the US credit card is accepted. But, you have to punch in your PIN number in order for the transaction to be completed, otherwise your desired purchase won't go through. When you see on the little screen, "PIN eingeben" punch in your numbers. My PIN is 4 digits. After that if you listen carefully, the machine makes a distinct sound which indicates it went through. You'll see, "Vorgang wird bearbeitet." on that key pad screen. That's to tip you off that "the transaction is being processed." You still have pull out your inserted credit card, which you cannot until given the OK by the machine. Pull out your card when "Bitte Karte entnehmen." When you see the light flashing the ticket slot, you're done. 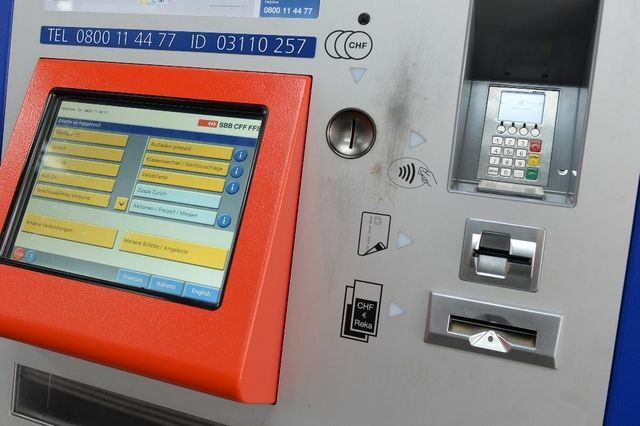 Using a credit card to pay you'll see appear "2 Beleg" which means 2 "documents " will drop into the flashing ticket slot, 1. your train ticket and 2. your credit card receipt, on which the last 4 account numbers appear and indicating your purchase amount, etc. When I use an American credit card to pay at DB machines, it's the described above. Admittedly, I was surprised when I first saw "PIN eingeben" If you rather not, then insert the Euro bills. I do both at DB machines. Fred, I think I remember being able to change the language on the German ticket-vending machines to English. Am I wrong about that? I prefer not to attempt financial transactions in a foreign language, and I don't remember having to do that in Germany. Fred just likes to show his German skills, I think :). @ acraven....I don't know anything about working the DB machine in English, never did it. I remember looking at a train ticket machine trying to find the American flag icon to get English translation -- duh! British flag icon works just fine. I use the ticket machines in English all the time, so I can show people at the airport how to use them. Click on the British flag. For local transportation tickets in many cities, small bills and coins work best. For the red, DB machines you can use your credit cards. 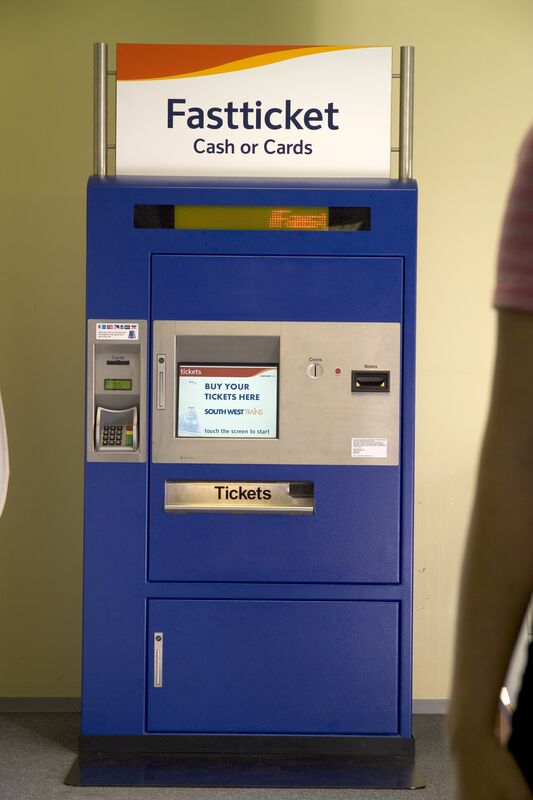 Pick out your ticket you need and when it asks for payment then you insert the card or the cash. Yes, ticket machines offer a selection of languages, including English. There is often is separate security terminal beside the touch screen where you put in your card and PIN. This has a little screen that says things like "enter PIN" and "remove card". I cannot 100% guarantee this terminal is also in English, but it should be fairly obvious. Thank you all for the tips. This is visually helpful . What country are you talking about? At least in Germany, buying seat reservations at a ticket machine is normal - and a normal ticket from A to B does not include a reservation (first class on long-distance trains being the exception). OUR VACATION IS TO VISIT GERMANY, AUSTRIA, CZECH REPUBLIC , CROATIA, SWITZERLAND . THANK YOU FOR THAT INFO.